I have a customer here for over 15 years and have always had friendly service. Best place I have rented from. 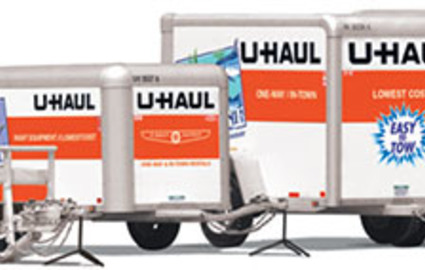 the gentleman named Steve, that helped me and my kids with getting a storage unit and renting a u-haul was very kind and compassionate and went out of his way to help us load our car when he did not have too. Thank-You! The Manager is super nice and the prices are great. I moved in at night and the storage is very brightly lit and secure. You can even pay online! The manager was helpful and the property felt secure and well lit. The manager was helpful and the property felt secure and well lit at night. 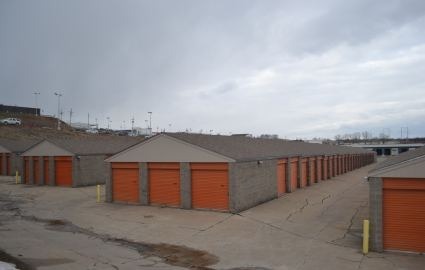 The Storage Cave offers secure self storage in Omaha, NE. 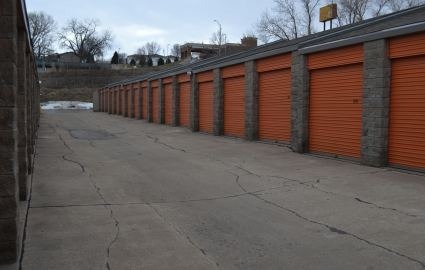 We serve the surrounding areas of Mockingbird Hills, South Central Omaha, Ralston, La Vista, Applewood Heights, Disney and Social Settlement with premium storage units. We offer spaces in sizes ranging from small to large. Reserve the right size unit for your needs today directly on our website, or give our friendly staff a call for more details and available specials. The Storage Cave Offers a complete Line of Moving Boxes For all your needs! 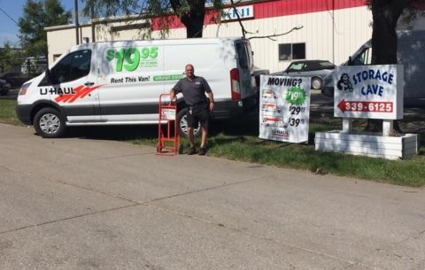 You can also stop by our Omaha storage facility today, and let our friendly staff give you a tour of our locally owned and operated facility. We're conveniently located in Omaha off L Street. Whether it's convenience, affordability or security you're most concerned about, The Storage Cave is the facility for you. Our great prices, extended access hours and ground level units make storing a breeze when you keep your belongings with us. 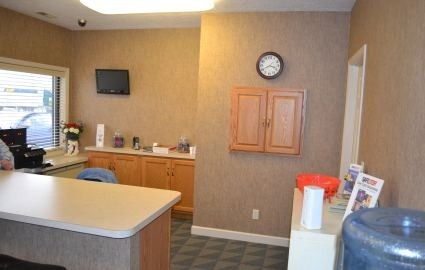 Not only is our property easily accessible, but your belongings are, too. With our competitive rates, you'll be sure to save when you store at The Storage Cave. 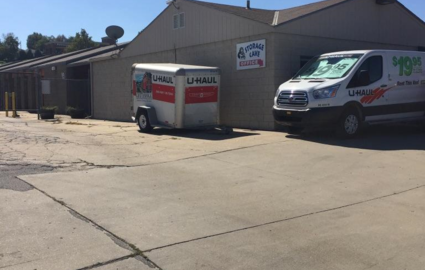 Our storage facility is perfect for Omaha residents and businesses alike when storing boxes, furniture, commercial inventory and more. 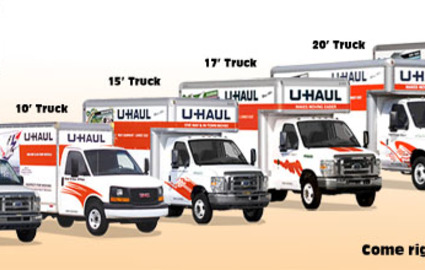 Easily reserve your next unit from today by clicking on our Storage Unit Details and Prices page. Web Rates are for New Customers only. The Office is Closed on Major Holidays and Emergency's. 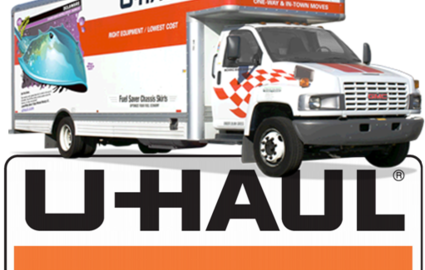 Reserve a U-Haul Truck or Trailer at:https://www.uhaul.com/Locations/Truck-Rentals-near-Omaha-NE-68127/051075/ and Thanks! 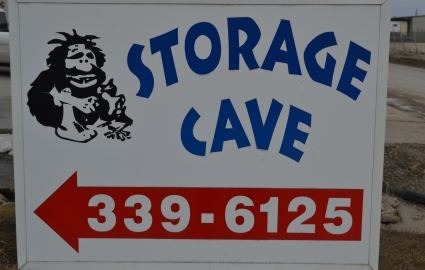 for choosing "The Storage Cave"
must rent for a minimum of 3 months per contract. New Customer's Only! Subject to availability. Other Restrictions apply. © 2019 The Storage Cave, partners and affiliates.